We have been constantly reporting about the upcoming all-new Jaguar XFR-S sports sedan, and we have also brought you the couple of teaser image released by the company officials. 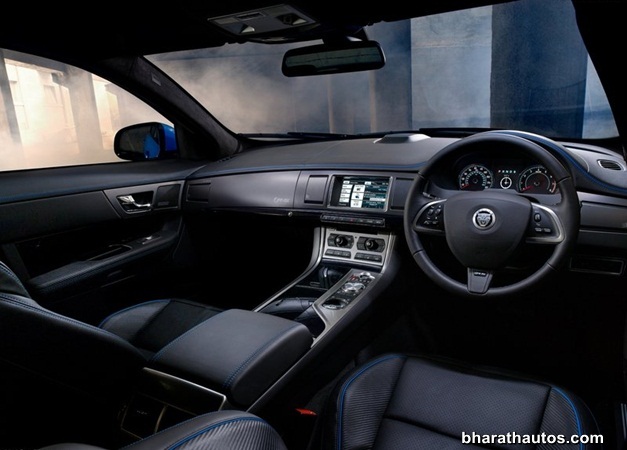 Now the British luxury sports car maker’s releases more pics and also official details and specs of their new super sedan, to take on the Germans in the super sedan power battle. The changes on the exterior include a set of 20-inch ‘Varuna’ forged alloy wheels with wider tires (265/35R20 and 295/30R20 front/rear), a carbon fiber aerodynamic body kit with front and rear spoilers and larger air intakes, as well as a diffuser. Inside the cabin, the XFR-S benefits from carbon, leather and contrasting highlight micro-piping and stitching. Jag’s fastest saloon car ever is powered by the same all-aluminum 32-valve quad-cam 5.0-litre supercharged V8 engine you find in the XKR-S. It’s based on the XFR model, but power from the 5.0-litre supercharged V8 has been boosted by 39bhp to 542bhp and torque is now a thumping 680Nm – all going through a newly developed eight-speed ‘Quickshift’ auto ‘box, which will also be used by the forthcoming F-type sports car. 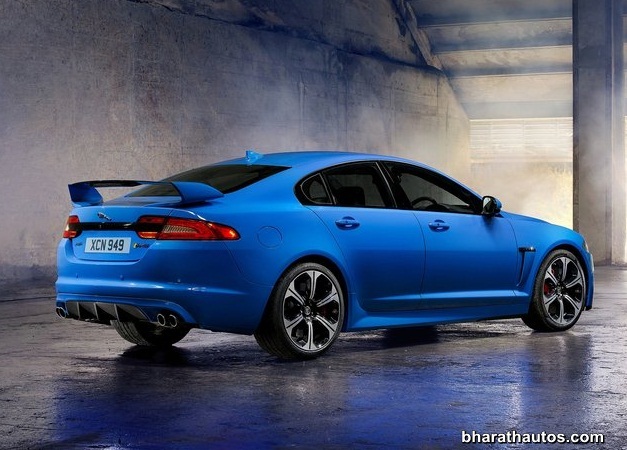 These upgrades mean the XFR-S can now sprint to 100kph in 4.4 seconds (a 0.3-second improvement) and go on to 300kmph. Fuel consumption and emissions stay the same, aided by an engine stop-start system for the first time. 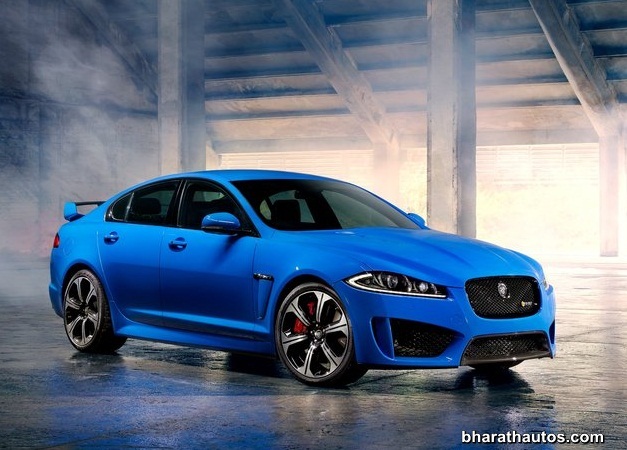 Along with the French Racing Blue hero colour (pictured), the Jaguar XFR-S is available in Ultimate Black, Stratus Grey, Polaris White and Italian Racing Red. 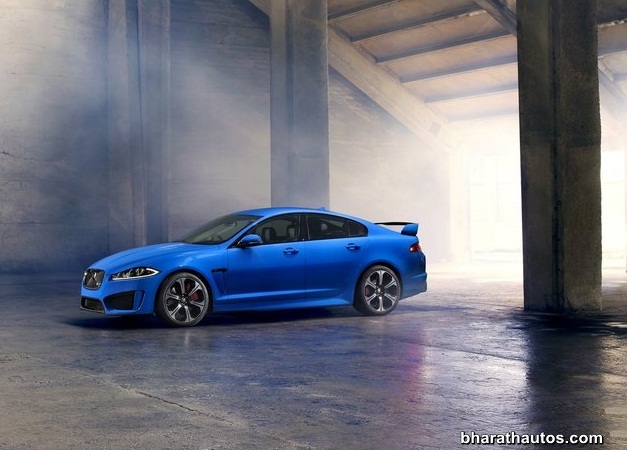 However, the car will be sold in limited numbers and only 100 units of 2014 Jaguar XFR-S super sedan will be sold in the U.S market.